Excluding some of the bonkers BHP-per-litre creations of the motorbike industry, Japanese engines are widely known for their high specific output vs capacity. 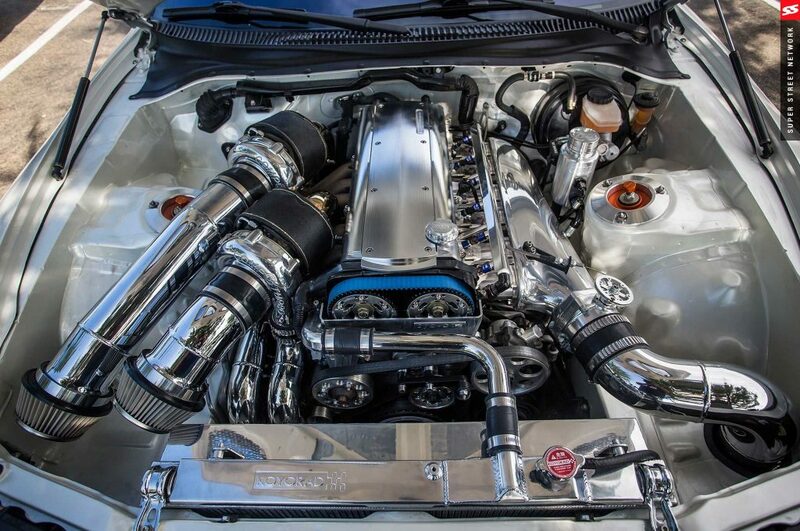 Thanks to their tuning capabilities with simple bolt on modifications many high performance Japanese engines can be taken to power levels previously unheard of within conventional tuning circles. Almost all of these engines have ITG filter solutions available as they’re true icons of drifting, track and drag strip abuse nowadays. Given this reputation, it’s no wonder they rank as some of the most well-respected engines ever produced. Picking a favourite from this little lot will depend upon whether you like the rush of forced induction torque, or hanker for a N/A screamer that reaches for the stratosphere. Do you prefer the crazy adrenaline buzz of bouncing off the red line, or harbour desires for mid range turbo grunt that could probably pull tree trunks from the ground and tow 747s? Either way, there’s sure to be something amongst this selection that sets your pulse racing. For quite sometime, there is believed to have been a gentlemen’s agreement throughout the Japanese car industry that 276bhp was the mythical figure at which all cars should be capped. Now, all the engine on this list conform to that, but two of them in particular are thought to have produced significantly more from the factory than was stated in sales literature. 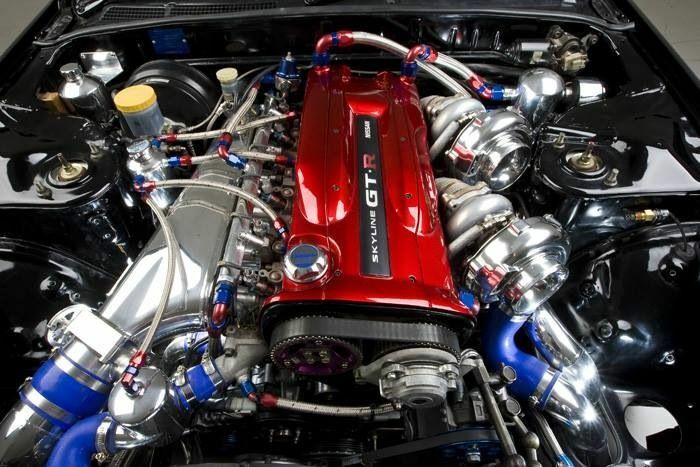 It’s little wonder that Toyota and Nissan has to be conservative with their estimates for the 2JZ and the RB26DETT as both performed so well out of the factory gates that they’ve been widely embraced and massively upgraded by the tuning industry ever since. A genuine giant amongst giants, it’s no coincidence that the car it initially found a home in (Nissan R32 – R34 GTRs) became known as Godzilla. Widely regarded as one of the greatest engines of all time, the RB family identifies the engine series (R), D means DOHC, E stands for Electronic fuel injection and TT for twin turbo. The 26 in the titles refers to its capacity – 2.6 litres, and this engine is said to produce 280hp, and torque ranging from 260(R32) to 276 ( R34) Some believe that these performance stats are a bit conservative due to the fact that GT-R Skylines have been dyno’d to corrected (power is corrected to show what the hp is at the crank instead of what it is at the wheels) hp values in between 300hp and 320hp. production of the RB engine series was ended in 2002 as a result of tighter emissions regulations. 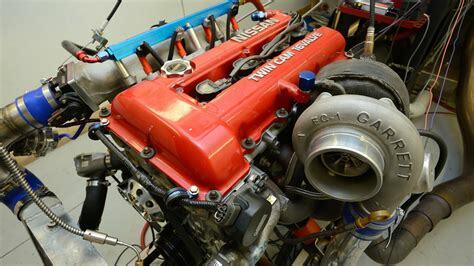 Regardless of its fate, the RB26dett is considered one of the greatest engines of all times, and it’s not unusual to see 1000+hp drag racers running in the eight second bracket with this motor. Even by doubling the original horsepower with a bigger single turbo, fuel injection and ECU upgrades this engine is a fire-breathing monster and the ATTESA AWD is said to cope rather well at such power levels. Quite simply, a legend! 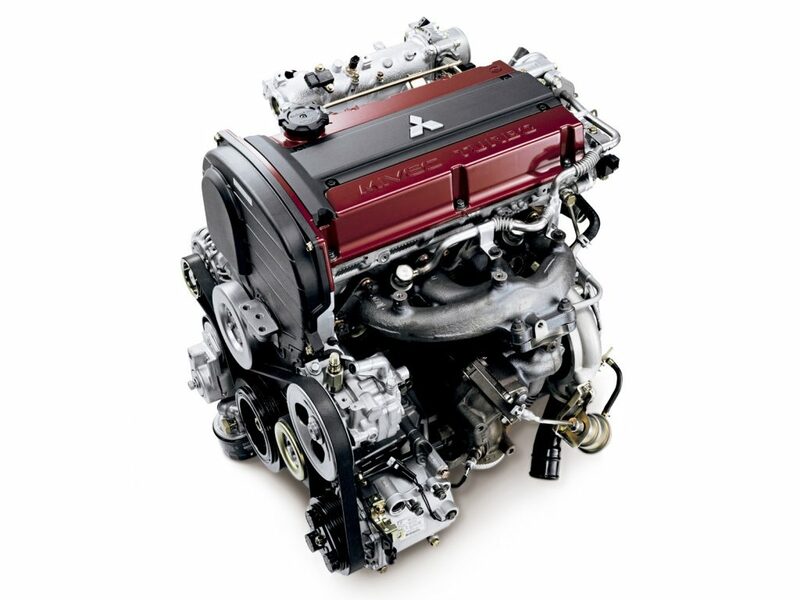 Mitsubishi’s 4G63T is the legendary 2.0-liter turbocharged engine produced from 1987 to 2007 and based on a naturally aspirated version of the same displacement. The 4G63 turbo engine is well known for being used in the Mitsubishi Lancer Evolution series of cars up until 2006 when it was replaced by the new 4B11T turbo engine. The engine has a cast iron cylinder block with the height of 229 mm, strong and durable crankshaft, and light 150 mm long forged connecting rods. The engine block was equipped with oil jets for cooling pistons. The compression ration also was lowered. On top of the block, there is a 16-valve aluminum cylinder head with belt driven double overhead camshafts (DOHC head). The intake and exhaust systems were significantly redeveloped. The cylinder head has reworked exhaust and intake ports. The engine received the new intake manifold and throttle body with 60 mm throttle valve. The cast iron exhaust manifold was adapted for turbocharger installation. After turbocharger, the compressed intake air is cooled by the large intercooler. More air needs more fuel; in this case, there are high-flow fuel injectors 450/390сс (non-turbo versions had 240/210 cc injectors) direct from the factory. They’ve become tuning legends due to iconic rally images of EVOs jumping around forest stages, and nowadays 500+ horsepower is considered to be a fairly mild tune for most EVOs. Yet again, keep things sensible with fairly basic modifications and reliability should be guaranteed. We offer plenty of EVO Induction solutions as most people run Straight Intakes, so they move the battery to where the stock airbox used to be to allow for the straight intake to be fitted with a cone. Finding a horizontally opposed flat four in anything other than an aging German car for the people might make you question it’s validity as a modern day power plant, but Subaru have stuck by the flat four for decades for good reason. The EJ20 represented a turbocharged zenith for the Scooby. Found in the Impreza WRX STI, Forester STI and certain Legacy models of the mid 90s and early noughties, this engine has become a tuner favourite for good reason. Even as standard most of 1994cc EJ series knocked on the door of 280 – 300hp, with more than double that achievable fairly reliably with stronger bottom ends, lower compression pistons and big boost pumped through the heads. Settle at the sweet spot of around 400hp with relatively introductory modifications and you’ll have an exceptionally rapid car with that distinctive flat-four exhaust note for a surprisingly sensible outlay nowadays. It’s worth noting that the EJ series engine design lowers the centre of gravity of the vehicle considerably, hence reports that the ‘Scooby’ handles in a very lively and predictable manner. 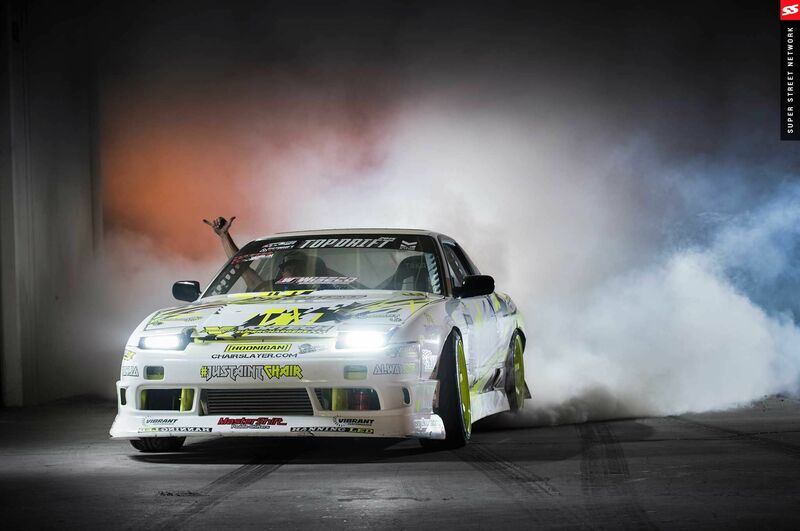 The SR20 DET has become synonymous with power thanks to the widespread adoption of the 180SX and 200SX as drift, track and drag weapons. Basically, if it’s been modified as part of the Fast and Furious franchise, then there’s a safe bet the engine is something a little special. Some say, although we’re on the fence with this one, that it’s the greatest four cylinder engine ever produced, but we’re going to be like Switzerland on that one and remain neutral. The SR20 DET came in a variety of 180, Bluebird, Silvia, Pulsar and Sunny models and ranged in power from 201hp upto 247hp. 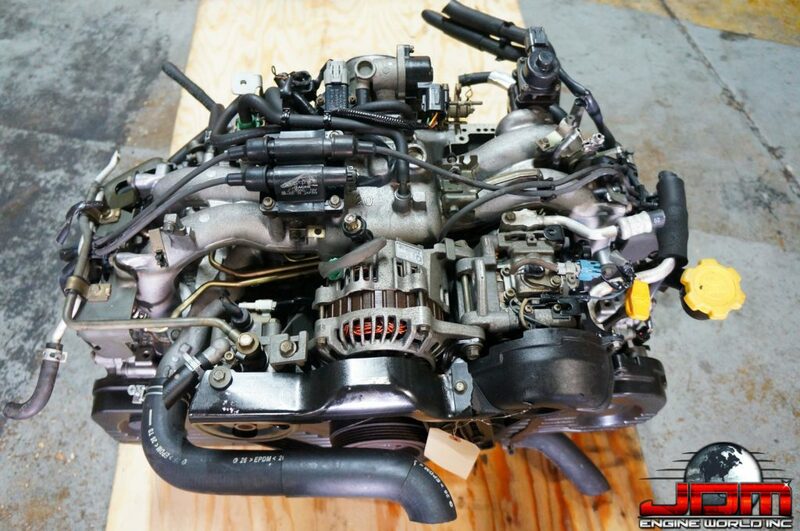 Thanks to the later use of the famous Garrett GT28 turbo (affectionately referred to as the Disco Potato) the 86 x 86mm bore and stroke and 1998cc could be tuned to well over 400hp with relative ease. It’s not unusual to see 600+hp race variants doing the rounds at close to 2.5bar of boost with massively uprated internals, injectors and turbochargers. With a compression ratio of around 8.5:1 the standard bottom ends could easily deal with a solid bar (14PSI) straight from the factory, and as a result it’s unusual to find bone stock engines in any of the remaining 200sx out there. They might be one of the cheapest and easiest ways to go drifting ever, hence the fearsome reputation of the SR20 in all manner of engine transplants as well.